"We will seek an amnesty law for the convicts from April 27, I expect Sela's support." 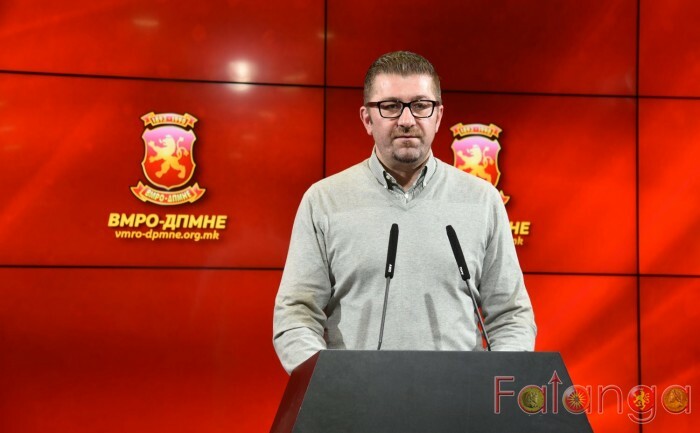 - said Mickoski..
We have an unequal standard in the delivery of court verdicts, today we had such an example, we have people who have been sentenced to a total of 81 years in prison, and in Ohrid there was a murder where the man who committed it was sentenced to five years in prison VMRO-DPMNE leader Hristijan Mickoski pointed out on TV Telma’s 'Top Tema' show on Thursday. “I’m not talking about all these undisclosed cases of murders across Skopje streets, about all those terrors, attempted murders that happen, knife fights and so on, and all of them are qualified as violence, while now this case is based on that we have a verdict which is equal to 81 years in prison. On this occasion, I inform the Macedonian public that as the president of VMRO-DPMNE I will propose and ask the party organs for support from the executive committee to work out an amnesty law for these people because the political calculation is obvious, not proving the crime, and if I receive support after this law is drafted and the same will be submitted to Parliament, I will ask for support from Zijadin Sela to support the same law,” said Mickoski.